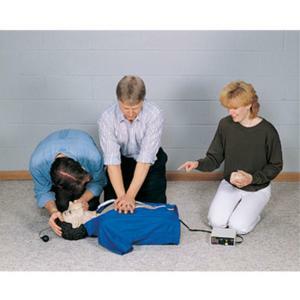 This easy to transport torso allows the practice of adult CPR techniques. 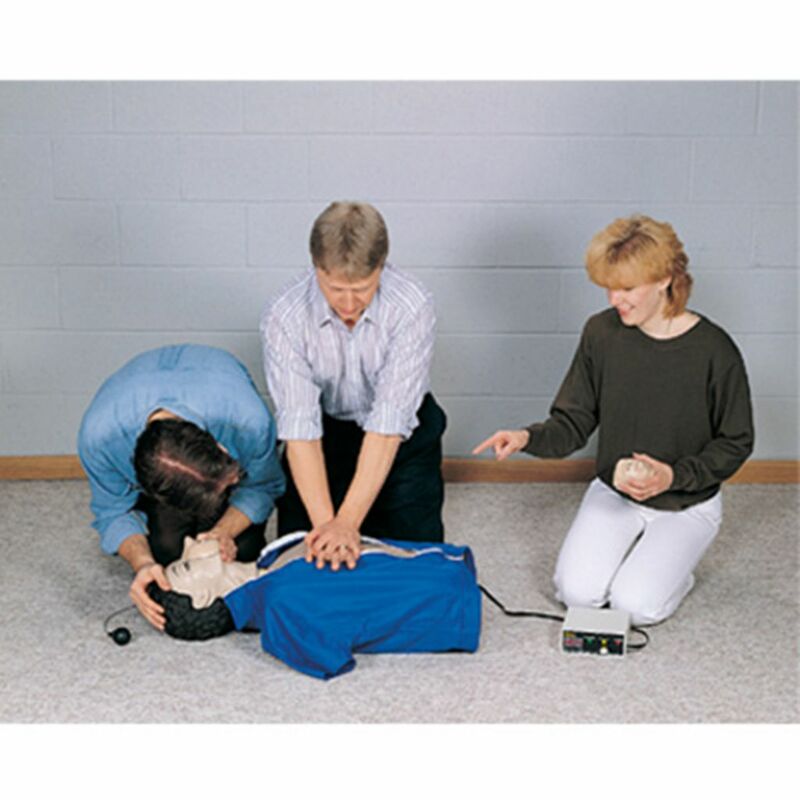 Optionally child CPR can also be practiced by changing the supplied springs inside the torso. Individual student face masks with a one-way non-rebreathing valve and disposable airways provide maximum protection against cross-contamination. Supplied with a washable jogging suit, child springs, 10 disposable lower airways, 10 disposable tracheal airways, five sanitary face masks and a carrying case.